Initially scheduled from 19 to 24 October at Ngurdoto Mountain Lodge Hotel in Arusha, Tanzania, the 5th round of Inter Burundian dialog will take place from 24 to 29 October, says Macocha Moshe Tembele, assistant to the facilitator in the inter-Burundian dialogue. He says the postponement is related to the commemoration of the 25th anniversary of the assassination of the first democratically elected Burundi president, Melchior Ndadaye. 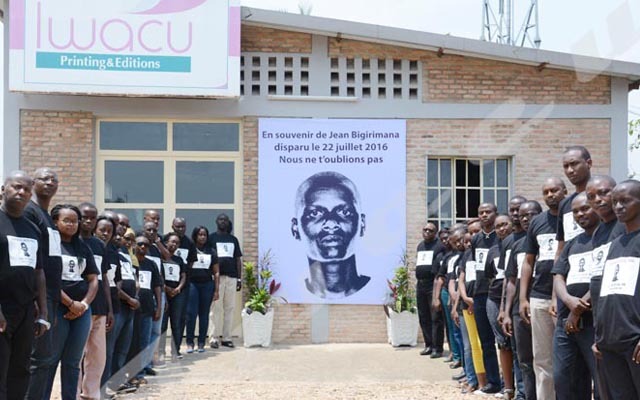 “This change comes as a result of requests of Burundians officials to allow some protagonists to take part in the commemoration ceremonies of the assassination of the national hero “in Burundi on October 21,” wrote Mr Tembele on twitter. When issuing invitations for this 5th session of the peace talks, the facilitator expected Burundians to discuss freely and conclusively all the issues that would help them to successfully prepare for the 2020 elections, says Tembele. He considers that the mediation team is incompetent arguing that the negotiation and conclusion of the Arusha agreement did not take that long. “We conducted negotiations in two years and reached an agreement while we have not been able to reach a compromise on the Burundian crisis for three years, “. Jean de Dieu Mutabazi, chairman of RADEBU party says he is one of the politicians who have requested that the date set for the 5th dialogue session be changed. “We realized that this date will prevent us from participating in the ceremonies of commemoration of the 25th anniversary of the assassination of Melchior Ndadaye”. For him, this postponement suits everyone. “Postponing the meeting for one week does not change much,” he says adding that the 5th round will allow the ruling party as well as the opposition to discuss the details about the 2020 elections.